Canela (they, them, theirs) is a senior from Oxnard, California. They study political science and Africana studies. 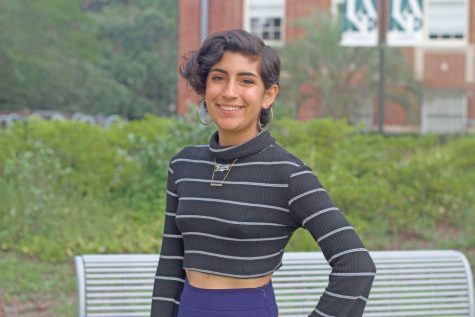 Canela is also involved in Students Organizing Against Racism, Queer Feminist Collective and Community Engagement Advocates. Their dream job is to be an Univision anchor with a talk show about queer Latinxs in the United States.